The Hide came to see Year 4 before half term. 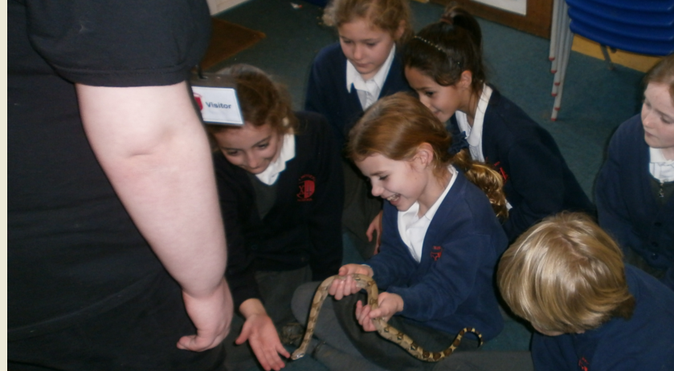 The children held bearded dragons, millipedes, frogs, snakes and spiders! They were all incredibly brave and learned a huge amount of information about these rain forest creatures.